Open the previous page in the playground. 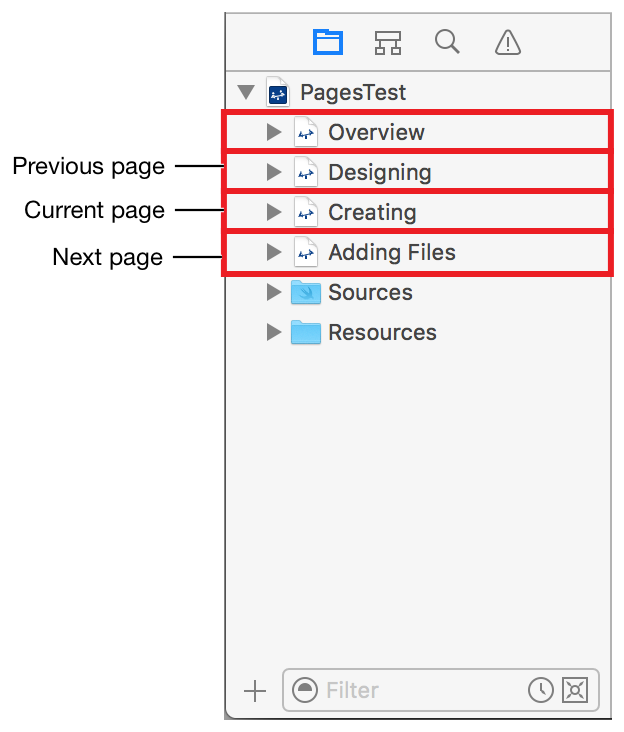 The previous page is the playground page in the Xcode project navigator that is above the page containing the link. No page is opened if the link is in the first page. For example, in the screenshot If Creating.playground is the playground page containing the link, then Designing.playground is the previous page. Overview.playground is the first page and Adding Files.playground is the last page.